The Egyptian PharaoTutanchamun (born as Tutanchaton) ruled in the 8th dynasty of the new empire from 1332 - 1323 B.C. He ascended the throne with approx. 8 years and married his half-sister Anchesenamun. She was at least 5 years older than him. 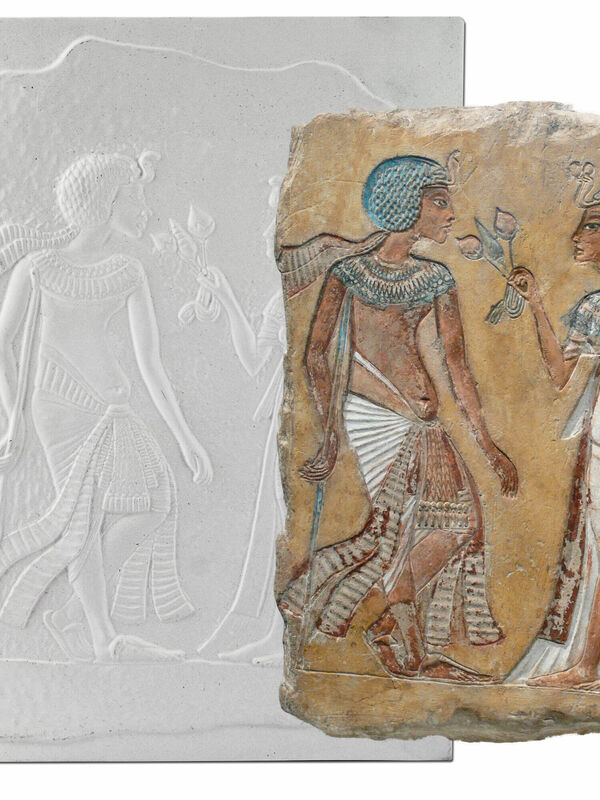 Mal-reliefs can help students learn about ancient Egypt in a playful way in history lessons. The antique painting reliefs are not only suitable for history lessons, they can also be used and designed in art lessons or in religion. 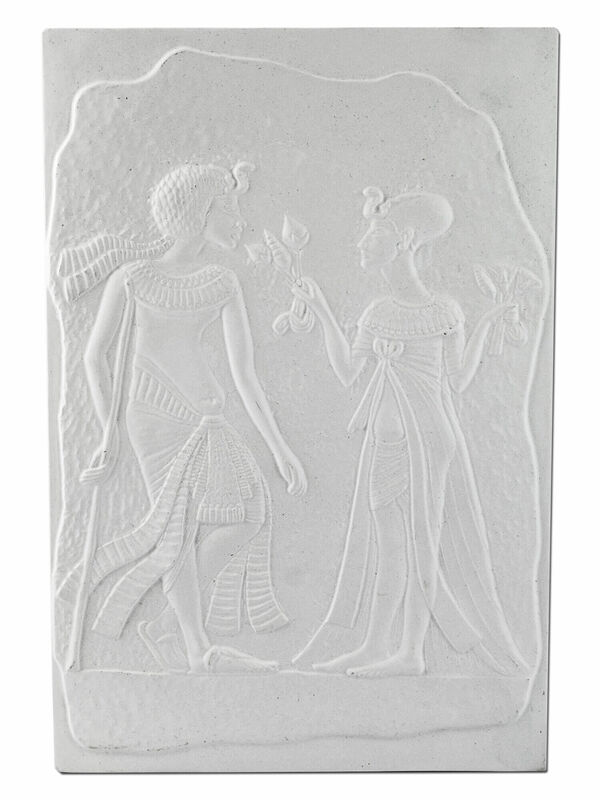 On the pages Teaching Material Egypt you will find in the Römershop a selection of self-designed reliefs with authentic Egyptian motifs - such as this relief with Tut Anch Amun and his wife. There are many exciting painting reliefs to discover on the Römershop pages. There are no limits to your creativity when painting or writing on a blank relief plate made of plaster! 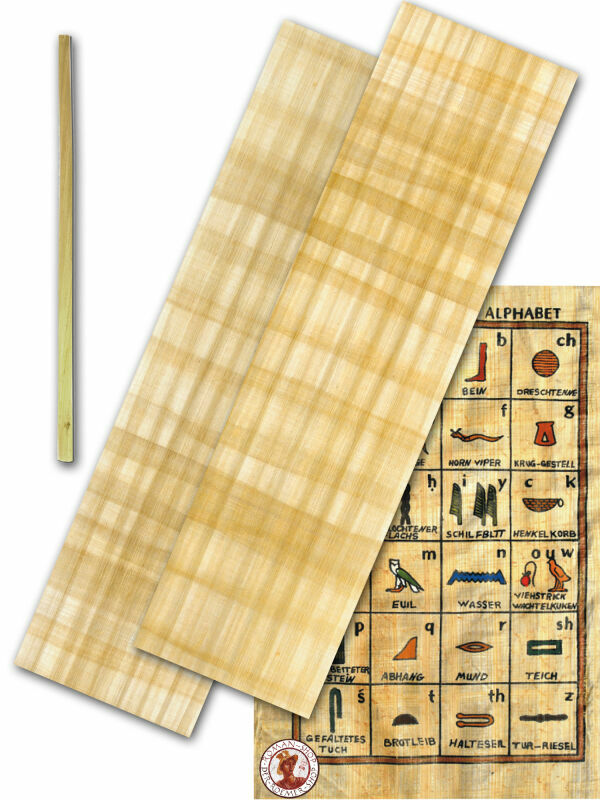 With a nail you can simply carve a some hieroglyphics, then paint the plate with watercolours or tempera! The blank plates are ideal for interdisciplinary projects or for a project week around the reliefs and works of art of antiquity. 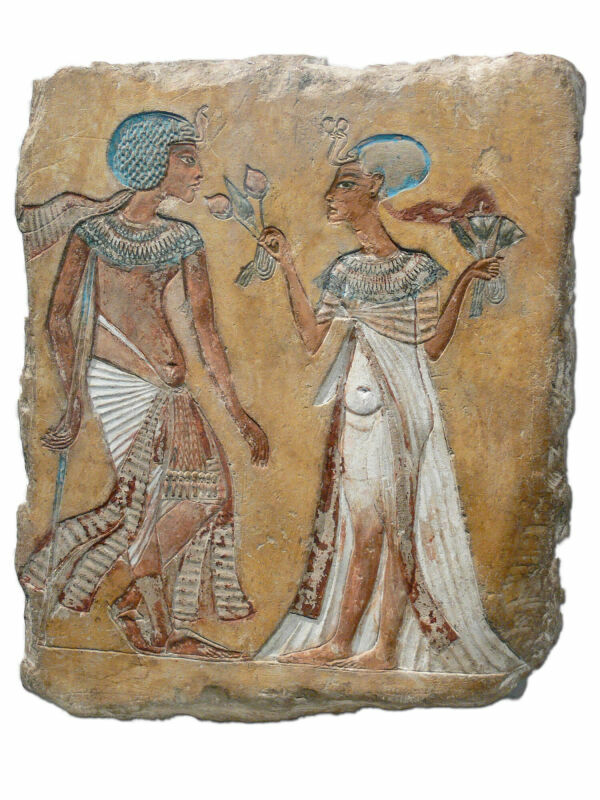 The relief shows the encounter of the young royal couple of Amarna. In a casual posture, the ruler stands on a long stick in front of his wife, who presents him with a bouquet of flowers. 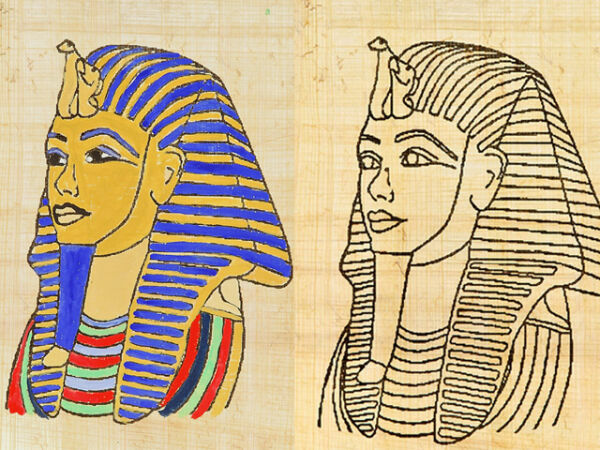 The royal clothing is characterised by bright colours: a blue curly wig with uraeus and neckbands, a broad neck collar and a fine apron with sash. The queen wears a wide robe, which emphasises her beautiful body forms more than conceals them. A flower neck collar and the blue hair cap with double uraeus complete her wardrobe. Unlike her husband, she has not worn sandals. The graceful scene is entirely in the style of the later Amarna period. New Empire, 18th Dynasty, around 1340 BC, made of painted limestone.